So many items on ebay this week that I've had to write to posts. The Rhodes ‘73 is so named because of the 73 keys on the keyboard. However other sizes were available the smallest being the 54. 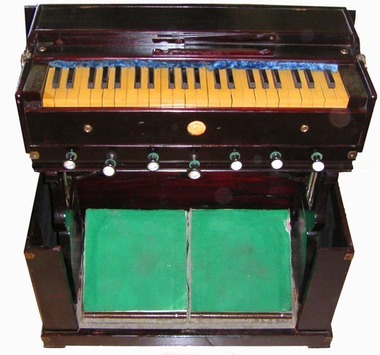 Indian Harmoniums are a variation of European harmoniums taken over there during the days of Empire. 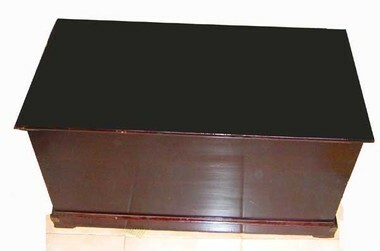 Proving this fact is this French Harmonium from the 1890s located in India itself. 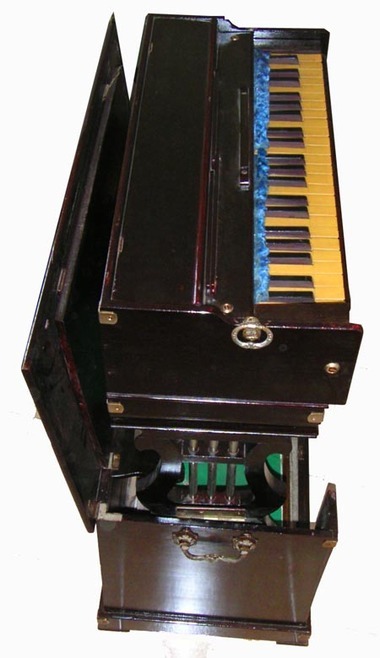 Unlike Indian harmoniums this one has foot controlled bellows but the actual keyboard looks like a modern Indian one. What I really like about this one is that it packs up into its own wooden case. Perfect for the travelling missionary that this probably belonged to. This Philicorda Home Organ is a classic piece of 1960s furniture looking more like a sideboard than a musical instrument. I love the big round buttons too. Now this is a nostalgia trip for me - it’s a chord organ made by Rosedale. My sister had one of this which I loved playing on. It is on one of these then that my love of music started - back in the 1970s. Talking of organs this Galanti looks and sounds very tasty. Classic cheesy 60s sounds. is the portable harmonium for sale? No, sorry - it is long gone. Hey, I#m interested in the Philicorda Organ. Is it still available ? This organ is a welcome addition to my house. I hope it's still available.